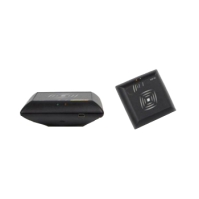 Desktop RFID Readers | GAO RFID Inc.
GAO RFID offers a range of desktop RFID readers that suit the needs of every business environment. 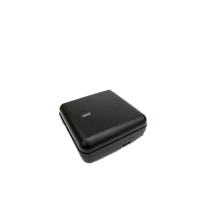 GAO RFID desktop readers provide a stable and accurate way to read and write RFID tags while using the latest USB protocol for quick data transfers—enabling the rapid setup and daily operation of your RFID system. 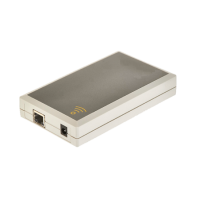 Our range of desktop RFID readers operate in high (13.56MHz) as well as ultrahigh frequency (860-960MHz) ranges that suit the needs of every business environment. 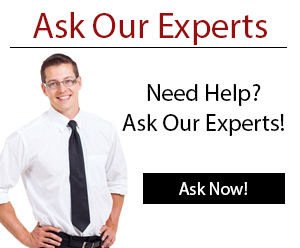 Our desktop readers provide a stable and accurate way to read and write RFID tags. These readers support cards such as NFC, Mifare S50/S70/Ultralight, Mifare Pro, AT88RF020, 66CL160S, SR176, SRIX4K, I-code 2. 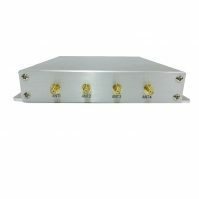 Most of the readers we offer have a built- in antenna and they use different communication interfaces such as RS232 /485, RJ45, Wiegand 26/34 and USB, TCP/IP, Wi-Fi and they feature buzzer and a bi-colored LED indicator. The desktop readers have CE/FCC certification and support various protocols such as ISO15693, ISO18000-3, ISO14443A/B, ISO/IEC18092, ISO18000-6B, ISO18000-6C EPC Gen 2, EPC Class1 GEN1, and NFC. Our readers are also IP40 rated, allowing them to be used in applications where they may come into contact with dust and water. 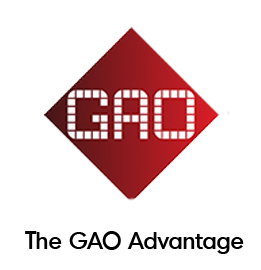 GAO RFID offers a range of desktop RFID readers which operate in high (13.56MHz) as well as ultrahigh frequency (860-960MHz) ranges that suit the needs of every business environment. 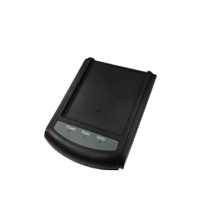 Our desktop readers provide a stable and accurate way to read and write RFID tags. These readers support cards such as NFC, Mifare S50/S70/Ultralight, Mifare Pro, AT88RF020, 66CL160S, SR176, SRIX4K, I-code 2. 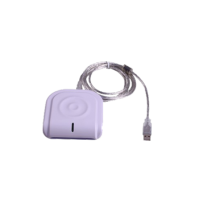 Most of the readers we offer have a built- in antenna and they use different communication interfaces such as RS232 /485, RJ45, Wiegand 26/34 and USB, TCP/IP, Wi-Fi and they feature buzzer and a bi-colored LED indicator. 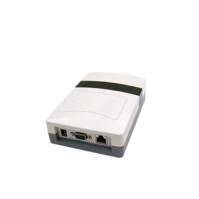 The desktop readers have CE/FCC certification and support various protocols such as ISO15693, ISO18000-3, ISO14443A/B, ISO/IEC18092, ISO18000-6B, ISO18000-6C EPC Gen 2, EPC Class1 GEN1, and NFC. 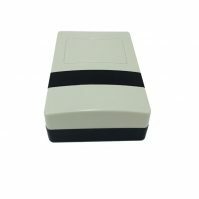 Our readers are also IP40 rated, allowing them to be used in applications where they may come into contact with dust and water. Some of these readers can be used in testing and validating applications designed for RFID enabled environments. 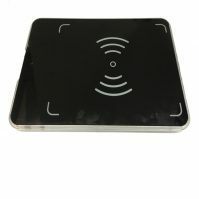 Looking for Desktop RFID Readers? 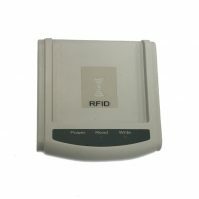 Please see our full selection of desktop RFID readers below.